1stAmender - Aspartame Not Bad For You! In studies done in the lab, animals are exposed to a substance (often in very large doses) to see if it causes tumors or other health problems. It's not always clear if the results from these types of studies will apply to humans, but lab studies are the best way to find out if a substance has the potential to cause cancer in humans before widespread exposure occurs. Another type of study looks at cancer rates in different groups of people. Such a study might compare the cancer rate in a group exposed to a substance versus the rate in a group not exposed to it, or compare it to what the expected cancer rate would be in the general population. But studies in people can sometimes be hard to interpret, because there may be other factors affecting the results that are hard to account for. In most cases neither type of study provides definitive evidence on its own, so researchers usually look at both lab-based and human studies if they are available. Many studies have looked for health effects in lab animals fed aspartame, often in doses higher than 4,000 mg/kg per day over their lifetimes. These studies have not found any health problems that are consistently linked with aspartame. Two studies published by a group of Italian researchers suggested that very high doses of aspartame might increase the risk of some blood-related cancers (leukemias and lymphomas) in rats. However, both the FDA and the EFSA have called these results into question, citing a lack of some important data in the published studies and other concerns. 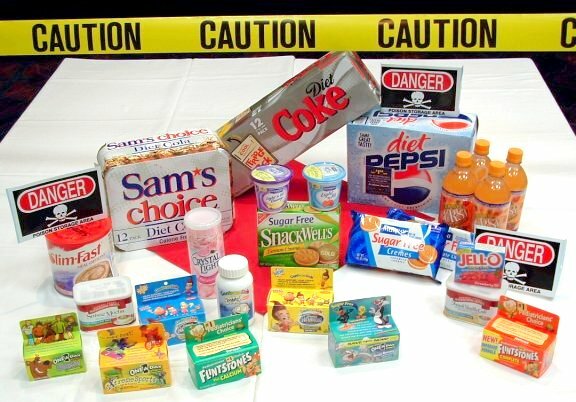 Most studies in people have not found that aspartame use is linked to an increased risk of cancer. One early study suggested that an increased rate of brain tumors in the US during the 1980s might have been related to aspartame use. However, according to the National Cancer Institute (NCI), the increase in brain tumor rates actually began back in the early 1970s, well before aspartame was in use. And most of the increase was seen in people age 70 and older, a group that was not exposed to the highest doses of aspartame, which might also make this link less likely. Other studies have not found an increase in brain tumors related to aspartame use. In the largest study of this issue, researchers from the NCI looked at cancer rates in more than 500,000 older adults. The study found that, compared to people who did not drink aspartame-containing beverages, those who did drink them did not have an increased risk of lymphomas, leukemias, or brain tumors. A recent study of more than 125,000 people found a link between consumption of aspartame sweetened soda and the risk of leukemia, lymphoma, and multiple myeloma in men, but not in women. Since it also found a link between sugar sweetened soda and lymphoma in men, the researchers concluded that the links they found could be explained by chance. Does aspartame cause any other health problems? Complaints of various health issues have circulated since aspartame first appeared on the market in the 1980s. But for most people, no health problems have clearly been linked to aspartame use.